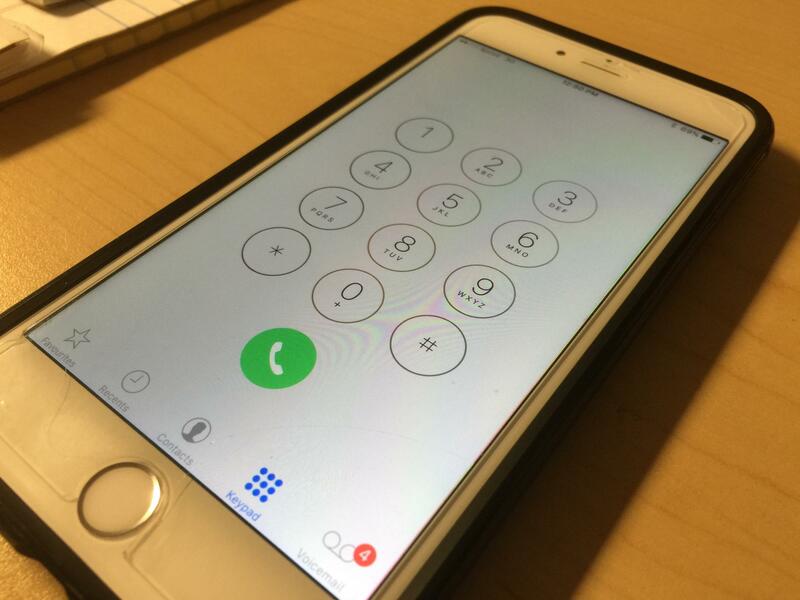 Dialing a local phone number on the Central Coast is about to get a bit more complicated. The Central Coast is well known for being “The 805” based on our area code. There’s even a popular beer named to reflect that fact. It’s been well over a decade since the last time areas covered by the 805 were split off to compensate for a growing population and a lack of new numbers. Now, the California Public Utilities Commission (CPUC) is in the early stages of figuring out what to do, as once again, we’re just a couple of years away from running out of numbers. The process starts with public meetings. KCBX News Director Randol White spoke with CPUC Public Information Officer Jonathan Lakritz to learn more about how the plan could play out. Randol White: So Jonathan, are we looking at an area code split… where a portion of the area is given a new area code and the rest stays as 805, or an overlay where the entire area stays 805, but a new area code is introduced throughout? Jonathan Lakritz: We're looking at both options here, and so we're looking at both an area code split — with the split line being basically along the Santa Barbara/Venture County line — and we're also looking at doing an overlay. There hasn't been a split introduced in the United States in the last nine years, and in the last 12 years in California there hasn't been a split. There is the potential to do a split always. Usually the reasons for not doing the split have to do with where the boundary would have to be drawn, since it might go through a city or through a political jurisdiction, and it would be confusing for individuals who reside there. Other reasons for why splits are not done is that one side of the split would have a long life in the next projected life for the next area code, and the other side might have a very short life. So, doing the split doesn't actually provide long-term relief to all of the current residents in the area code. White: Do we know what the new number will be yet? Lakritz: No we don't. That number is established by the North American Numbering Plan administrator, which is an arm of the Federal Communications Commission, and they won't tell us what that number is until after the commission has adopted either a split or an overlay. White: If the overlay is the version that is chosen, how would that work exactly? Lakritz: The commission will have a formal proceeding in the fall, and then in the spring make a determination of what area code relief — a split or an overlay — and then during the summer there'd be customer education and, what's called in the industry 'a permissive dialing period,' which is a period during which consumers can dial '1' plus ten digits to complete their calls or dials seven digits like they do now within the area code. And then in the winter, that will switch over and all consumers will be required for all calls to dial '1' plus ten digits. White: So, you'll have these meetings then for our listening area, Santa Barbara on Monday and San Luis Obispo on Tuesday, what are you hoping to glean during those meetings? Lakritz: Well, part of the purpose of the meeting is to educate consumers about what's going on with the area code, what are potential options to introduce a new area code, and then what we're hoping to glean from consumers are if they have a preference for one versus the other and why they have that preference: How are they impacted and why is the impact of one method better for them than the impact of another method. White: What's the latest possible point at which we would have an answer to all of this and all the gears would be put into motion for a change? Lakritz: So, sometime in the spring of next year, so February to April time frame, the commission will formally adopt either an area code split or an area code overlay. And then, as you said 'the gears will be put in motion' to implement that, so there'd be education during the summer, and that'll ramp up in the fall, and then sometime in the winter, November to February, the new area code will be put in place and people will be required to dial telephone numbers a certain way.